A woman travels alone, meets Palestinian villagers and her heart reaches out. She meets parents who want to make their children’s dream come true: to go for the first time to the seaside. She joins in visits to relatives in prison, and gets pushed around at checkpoints together with those wanting to enter Israel to try and find work. She gets close to people whom many Israelis do not hear or see. And she writes about them, about their life. 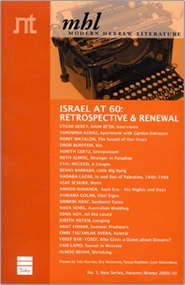 But she doesn’t only document – sometimes she gets involved in their lives and is called on to act: for a man who needs work and asks her to smuggle him in the trunk of her car; for a prisoner who asks her to buy him a pair of glasses; or for Palestinian children whom she takes – in defiance of Israeli law – on a trip to the zoo. And she also tells of interesting conversations with men imprisoned for a long time without being indicted, who talk to her about peace. 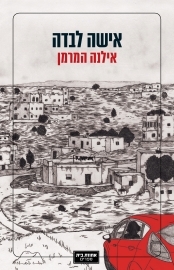 This book is a human document of the highest order: a collection of pieces written over some thirty years during which Hammerman traveled all over the West Bank and the Gaza Strip, meeting people, assisting some of them, just lending a sympathetic ear to others. Her starting point is personal. After losing her husband and her sister, who died one after the other, Hammerman traveled to the end of the world – New Zealand. And there she found the secret of her own personal freedom: the ability to move from place to place without regard for internal or external boundaries. And together with this freedom, she found joie de vivre and a resolution – she would travel around the West Bank, meet women, men and children, listen to their dreams and document their lives under occupation. An enthralling document. It is a book about the astonishing campaign of a single woman, brave and determined, who refuses to fall in line with the precepts of this distorted and distorting situation, and who takes straight and clear path in a totally twisted and entangled reality. This is a forceful and weighty book … written in a quiet, personal voice, and with humor. It is a documentary book, but it is written like literature in the full sense of the word, it produces in the reader – at least it did in this reader – empathy and emotion, and it reads like a powerful, consciousness-changing novel. I have no doubt that A Woman on Her Own is the most important Hebrew book that has or will come out this year. A crucial book. I am torn while I read it. I weep … The writing is so honest and so lovely. It is as if there is no other way to seduce the horror. But please, do read it. Hammerman is a liberal and humanistic woman with every particle of her being …Hammerman does not preach and does not screech, she simply describes in elegant and measured language intolerable human experiences that happen to people with names and faces … Hammerman is not self-righteous and she does not conceal her human weaknesses. She revealingly describes the impatience and the discomfort that she experiences. The fairness, the honesty as well as the frustration are not harnessed to an ideology, they are an integral part of her life … Her writing style is clean, articulate, restrained … Hammerman’s travels to remote places in the world and in Israel are fascinating and very courageous journeys; journeys to the heart of human solitude. This book is presented to you even if you do not agree with the political opinions of Ilana Hammerman. What it contains is offered to you because you are human beings … If you want a book whose words are clear and simple and which says things that come out of a wise heart, this is a book for you … Hammerman is not boring for one moment: Her book is vibrant, personal, and relevant, and its intensity is tangible under the surface. Sometimes the descriptions become fine literature by virtue of the narrative ease, with the anger neutralized. It is not the storyteller who is shouting, it is the story that cries out without raising its voice. Strange stories, because some of them possess humor and generosity; sometimes they are positively heartwarming, amusing, almost surrealistic. And a pleasant spirit of grace and courage blows through them and from them to those who read them. But even when they’re like that – and they’re not always like that – they’re dark. The heart increasingly shrivels up as one reads the stories, and the body seems to crumple and stoop. A Woman on Her Own is important … One of the most striking things about A Woman on Her Own is what it isn’t. Ostensibly, it could be expected that a book dealing with the experiences of such a committed political activist would be relentlessly critical, sensationalist, and if it is not extremist itself, that it would at least depict the most extreme aspects of an impossible situation … But Hammerman does not take refuge there, perhaps because that would be the easiest thing to do. Instead, she tells of people, people who are neither all white nor all black. This is an extraordinarily human book, and as such it constantly pricks gently, makes the gut constrict, makes us take a deep breath and then go on … Hammerman puts a face to people who sometimes have no face, body, name, occupation, family, feelings or freedom, and it is important that all of us look into this face. And the sooner the better, before it is too late. A mesmerizing book … This is personal essay writing at its best. The descriptions are blessed with lucidity and simplicity. For years, Hammerman has made brilliant translations of Kafka, and it is amazing to realize how extensively he is echoed in her own work. A Woman on Her Own is a must read, precisely for those people on the Israeli right … If I were the prime minister, I would hand the book to all the cabinet ministers and members of the Knesset as compulsory reading … To be read and internalized. The deeper I got into the book, the more captivated I was by its charm. This is a book devoid of pomposity ... In Hammerman’s writing, mainly because of her thematic choices of what to focus upon and the unique narrative style she adopts, there is something of the discovery of an unknown land. Terra incognita … Compared to other documentations, Hammerman’s project has a chance of penetrating into the heart. A moving and compelling book, painful but perhaps also inspiring hope.